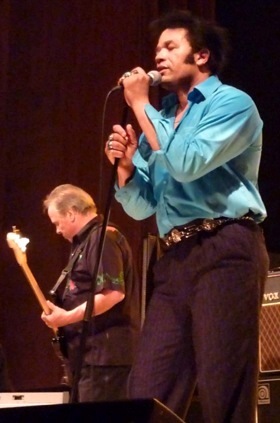 The Original Elvis Tribute 2010 rock'n'rolled through Holland, Poland, Finland, Spain, Italy and Belgium last month. This year the band featured incredible Robert Washington on lead vocals, Chris Casello on guitar, the lovely Sue Moreno on vocals, Duke Bardwell on bass, Michael Jarrett on keyboards, and Maxwell Gantt Kees Jr. on drums. When I originally came up with the idea for ’The Original Elvis Tribute’ back in October 2008, the big question was: how can I create a show that generates some of the same excitement that The King himself was legendary for? A nigh on impossible task! 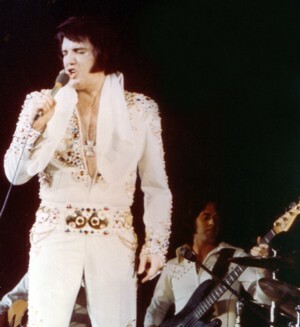 I’d already been involved in various Elvis events featuring original musicians, and even though these shows were good, I also felt that perhaps these were a bit too respectful and too formal … Nothing like the original Elvis shows. What was needed for the show I envisioned was a charismatic singer with a voice close to Elvis’, and a strong, creative band with affinity for the music – but at the same time not afraid to take liberties. 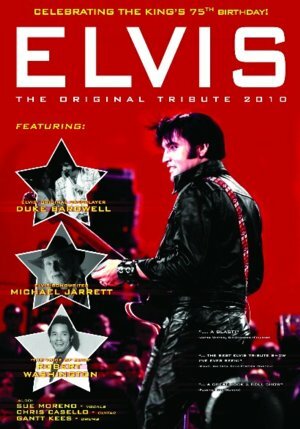 That’s also why I have ‘Original’ in the name of this production: obviously it refers to the original people in the band (Elvis’ mid-70s bassplayer Duke Bardwell and Elvis-songwriter Michael Jarrett), but it’s also a reference to the fact that the music is not just slavish copies of the original arrangements. It’s not a cover band. Following a try-out tour last year, we came up with a true ‘dream team’ for this unique production: the incredible Robert Washington on lead vocals, top Nashville cat Chris Casello on guitar (a true virtuoso! ), the lovely Sue Moreno on vocals, Duke Bardwell on bass, Michael Jarrett on keyboards, and Nashville session player Maxwell Gantt Kees Jr. on drums. In selecting the repertoire for the show, we also used the ‘Original’ concept as our guideline. Obviously, some of the classics had to be included, but we also added a lot of lesser-known great Presley tracks like ‘You Asked Me To’, ‘Stranger In The Crowd’, ‘It’s Midnight’, ‘My Babe’ and ‘Walk A Mile In My Shoes’. The tour's opening show at the Effenaar in Eindhoven (Holland), where a sold-out crowd of 500+ fans gave the band a hero’s welcome, pretty much set the tone for the whole tour. And right from the start, both Duke and Michael really fell in love with Robert as a performer, as we all did. Duke would always call him ‘the hardest working man in showbusiness’, and indeed it was Robert Washington’s incredible energy and magnetism that carried the whole show. And his voice is just incredible… He sounds amazingly close to Elvis, without over-forcing his true voice like the usual Elvis sound-a-likes do. Especially on songs like ‘It’s Midnight’, his voice sounded so close that it was almost eery. But he was just as good on the groovy tunes like ‘My Babe’ and ‘Polk Salad Annie’, which both quickly became audience favourites. The tour was 10 concerts in all and in some of Europe’s finest venues (and in one instance, at a castle! ), with two shows in Holland, two in Poland, three in Finland, as well as shows in Spain, Italy and Belgium. Attendances were remarkably good, with about half of the shows being sold out. No mean feat when you consider the fact that the world is in a major economical crisis. 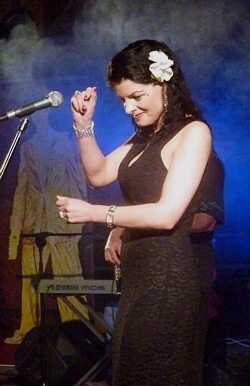 Audience response at the shows was quite passionate, no doubt in no small part due to the raw sexuality of Robert Washington and the more sophisticated charm of Sue Moreno (who sang a hot version of ‘Fever’ at each show). At the shows there were always various excited women asking for Robert’s contact info, or trying to get close to him in other ways. Not really something you’d see at the average overweight-white-jumpsuit ETA kinda' show! At one of the shows, we even ‘lost’ him for a few moments, and Duke quipped: “OK, ladies, who stole Robert? We need him!”. We also received quite a bit of media attention on the tour, including various national newspaper write-ups, and television coverage. 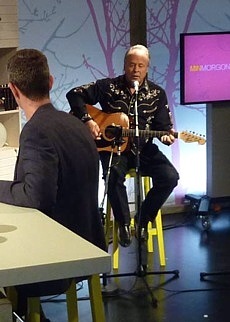 In Finland, Duke and Robert appeared on the popular breakfast television program ‘Min Morgon’, while in Belgium they did two news-items on the show, including one that you can see - CLICK HERE. It's the Aflevering 4 show. We even did a formal press conference for the Polish media at the Zamek Castle in Poznan on May 9th… A humbling experience, to say the least! This had not been an easy show, due also to the fact that it was being videotaped for a Polish DVD. Various Polish guests musicians had participated on some of the songs. Despite the language barrier and very little opportunity for rehearsal, it had all gone well though. The show was over, and we were all relieved. I drove Sue to the airport for the flight to Holland, so that she could be together with her family. It was a tough goodbye. We were all concerned, because Sue Moreno had been a real asset on the tour. With her feminine grace and beauty she’d added a lot of class to the whole production, and of course she also sang harmony with Robert on many of the songs like 'Promised Land', 'T.R.O.U.B.L.E.' and 'You Asked Me To'. As Chris Casello astutely observed: “Now we’re just a rock ‘n’ roll band”. We knew that it wouldn’t be the same, but the band, being the true professionals that they are, were determined to make it work. The two final shows in Italy and Spain were amazing. Especially Madrid which was unbelievable. We didn’t really know what to expect, because Spain has never really had much of a history for shows featuring original Elvis musicians. 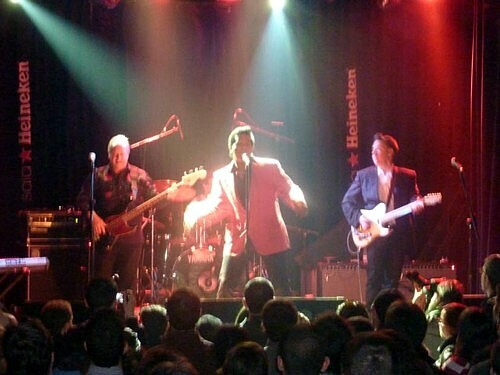 We were booked at the Sala Heineken, a top-notch rock venue right in the center of the city. In fact, we were informed that this was the #1 concert venue in the city (or the country, for that matter) and that it was located on the most important road in the city, at Calle de la Princesa 1. As we came back from dinner the night of the concert, we were surprised to see a large queue in front of the venue. The crowd quickly began to recognize the band, so we hurried inside to get ready for the show. Spain has always been known for its love of early rock ‘n’ roll and rockabilly, and that’s what the band gave them… Especially the rockin’ stuff like ‘A Big Hunk O’ Love’, ‘Baby Let’s Play House’, ‘Too Much’, ‘Love Me’, etc. was extremely well-received, and the band really did them justice, adding extra solos and verses, etc. Right from the start it was a true ‘love fest’ between the band and the audience. They really showed their appreciation and sang along to most of the songs. Robert looked sensational in his pink jacket and black shirt and pants… Thanks in no small part to the amazing skills of the lightning man at Sala Heineken, it almost looked like the early Elvis had come down from heaven to knock everybody dead with one more killer rock ‘n’ roll show! At one point, Robert even decided to surprise the audience (and the band!) with a great impromptu ‘Spanish Eyes’, and the crowd reaction was deafening! At this point, you could just feel the room bubbling over with excitement. This was truly one of those “you had to be there” gigs…. Believe me, it was POWERFUL. As the show ended, we were all treated like celebrities. The band was used to people asking for autographs, but this was something else… There were people everywhere, it was complete mayhem! Even the routined Sala Heineken staff were completely over the moon with the show, and they must have seen several 1000’s concerts in all genres… They had a very strict curfew at 11pm, but the organization was so impressed with the show that they gave us 20 minutes extra, for the first time in their history we were told. After the concert, even the sound technicians and lightning people came to us to compliment us on the show. These were guys that were into hiphop and thrash metal, etc., and they were telling us things like: “I must admit that I don’t really have a connection with Elvis, but what you guys did tonight was incredible. Your concert was phenomenal…”. It was an unforgettable night. We were all on a high. I think we all needed this morale boost after the tragedy of the death of Sue’s dad. Even outside, in the parking lot on the other side of the building, there were droves of people waiting for a photo or an autograph. Crazy! As Pablo Martinez-Pina, president of the official Spanish fanclub “Club Elvis”, wrote to me two weeks later: “It was a cracking concert!”. At the end of the tour, we all felt a bit melancholic about having to say goodbye to each other… and having to say goodbye to such a special show. The tour really felt unique, and we all felt a great sense of achievement. Right: Two sides of Duke Bardwell! Duke on breakfast television in Finland & having fun in Amsterdam. After all, this was not your run-of-the-mill Elvis tribute show: it was certainly not the jumpsuit parade that you see in Memphis, and it also didn’t have much in common with those often fairly stiff shows featuring original musicians. I think that what made this show stand out was the raw excitement that it generated… Much like at the early Elvis concerts. I’ve honestly never experienced anything quite like it… Robert Washington was a true star on this tour, and the teaming of him and Chris Casello was just magical - The Voice And The Guitar. It was also remarkable to see so many young people at the shows, especially in Holland, Spain and Italy. And they dug it big time… the next generation. The fact that this production really made an impact on people is underlined by the fact that there’s an amazing amount of concert clips that have been posted on YouTube – always a good indication of the popularity of a show. We also have our own channel now with 50+ clips from the show: click here to ‘ElvisTheChannel’ or just search for ‘The Original Elvis Tribute 2010’. The show will be back in 2011, so for more info please visit: www.elvisnews.dk We have met many cool people that we’ve known from places like the FECC message board at these shows, and it’s always fun to meet people that share the same passion. And regardless of where you go, or what language you speak, that’s something that we all have in common. It was an incredible high-energy show, an honour to work with everybody and to please all the great crowds everywhere we went. I would like to personally thank everyone for all the great support in these difficult times. When you watch the clip of It's Midnight, I can still smile because I felt the presence of my sweet dad, Stanley, and as we were doing the song, I was just thinking about how proud he was of this project. 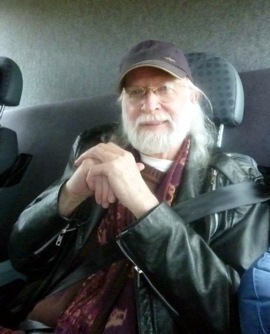 Just a short note to say I really enjoyed the article Arjan wrote about our tour, thanks for posting. He's right when he says how exciting it was..
Robert Washington is a great singer and really moved the audiences with his performances.. The fans in Euro are so appreciative! Once again A BIG thank you… this year the Original Tribute Show was so cool; thanks to a fantastic group! A job well done! Their first visit in Poland was something special (first time to Poland arrived member of TCB Band and Elvis' songwriter). In this year they back with bigger power and give polish fans true "rock'n'roll feast". Shows in Poznan and Ruda Sląska was unforgettable! I'm so happy that I can helping with promotion and organization this concerts. Arjan, Duke, Michael, Sue, Chris, Robert, Gantt-thank You for special time in Poland and thank You for everything- see You next Year! Elvis Presley Fan Club "Raised On Rock"
I've been to the Elvis show in Sneek, and it was Amazing!!! It started right away with an awsome guitarsolo, ( I totally like guitar) and the show caught me from the very first second. Robert really did an amazing show, he is very tallented, he sounds very much like Elvis, he didn't have to trie to imitate Elvis. 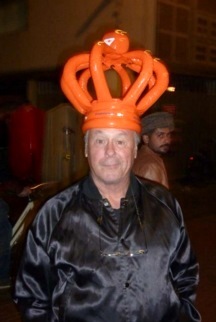 And I was very happy to see it was not a fake jumpsuit parade. It was also nice they had chosen for not the most regular songs. I also liked the way that Duke Bardwell was doing of Hearbreak Hotel, and Sue did a fabulous Fever. I really really liked the guitar parts, Chris is so great!!!! Thanks to Arjan who really did a great job putting those fabulous artist together. But the first time we saw Arjan, Duke, Michael, Sue, Gannt, Chris and Robert..was before the shows! I'm Arjan's litlle sister, so we (with husband and mam) were invited to come to Delft where they were practising. 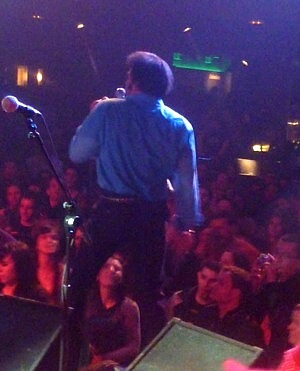 And there was the show in Antwerp, a beautiful place..De Roma. The acoustics were heavy, not for us, but for the band. We loved it. 2 days after.. we were in Sneek..spectacular and fantastic! No sitting places and we love to dance and move. keyboard/Michael) & that made a big impression. So we love them..... And then we had to let them go to.....Polen, Madrid, Italy! It was a bit painful, but we heard the details about the concerts. They had an unbelievable good time together! We followed everything on you tube and facebook. We hope to see them next year!!!! In the spirit of Stanley, with respect for Sue's vocals in "It's Midnight" in Miejskie Centurm Kultury in Ruda Slaska, Poland on May 12th. With love from Eveline Meijs-Deelen. Greetings from my husband Piet Meijs and mother Lida Deelen-Donker.